Winter is almost over and I am looking forward to spring. 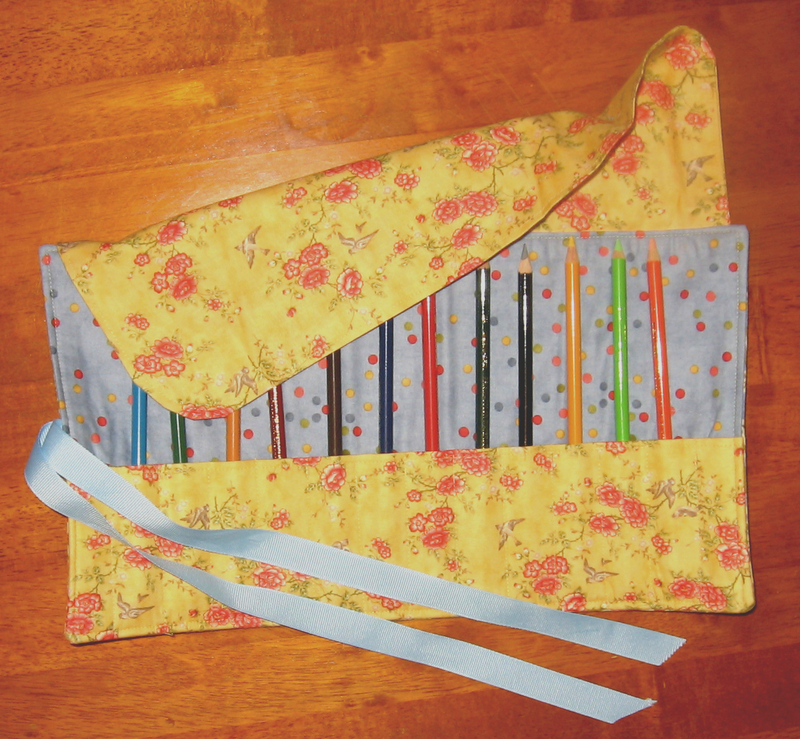 On my last snow day, I made this pencil roll to hold my colored pencils. I used some nice spring fabrics that coordinated nicely with the pencil colors. You can also use this to hold crochet hooks, make-up brushes, or even knitting needles! If you are feeling especially crafty (or have the time), you can embroider your name on the flap or on the outside. This will also make a great fundraiser!!! Thanks for another great pattern!!!! Heather, love the fabrics you chose. 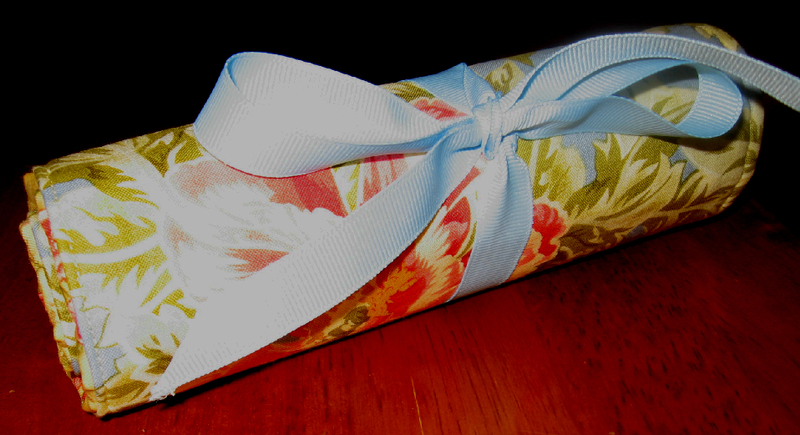 Great idea for a gift. Thanks Mrs. B! I never thought about this as a fundraiser. It would be great for something like that since they only take an hour or less to make. This is something that I am currently working on. I hope to have the pattern available shorty, so please check back.